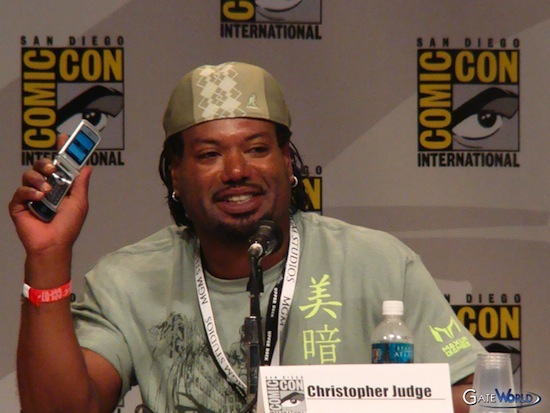 In a recent appearance on the David Boze Radio show, Christopher Judge speaks about his role in the upcoming Dark Knight Rises movie. We still don’t know what character he’ll be playing, but we do know that he’ll be involved in a fight scene with Joseph Gordon-Levitt, who we know will be playing the role of Police Officer John Blake. In the show, Judge also has some sad news about a third Stargate film. While there was one in the development pipe, it’ll likely never see the light of day due to MGM’s financial troubles.